Partyship Boot I - Boat rental? 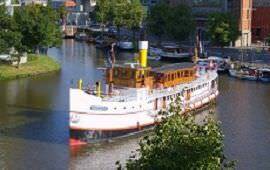 If you are looking for a unique party location, dinner occasion or a location for your wedding, then you can visit our party ship in Amsterdam: BOOT is an entirely new and refreshing party boat. no trivial tablecloths, plastic flowers and grumpy waiters in black worn tuxedo trousers! 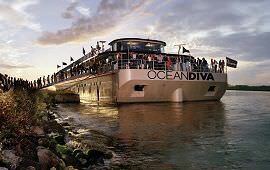 But a fresh, modern and cosy party ship that can accommodate more than 220 partygoers. 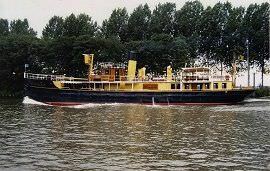 From its home port in Amsterdam, BOOT can be used virtually anywhere in the Netherlands. The sun deck can be used for relaxing or for a BBQ. 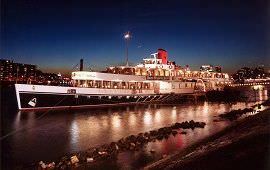 Possibilities: Is a go-to party, a reception and/or a dinner on board a ship your big wish? 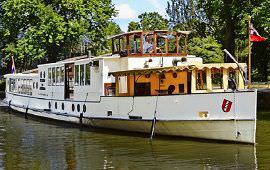 Boat is guaranteed to be a party: refreshing, young, modern, cozy and very flexible to adapt to your wishes. 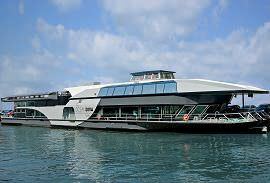 Everything is on board to make it a super party: good bar facilities (both on sun deck and inside), sound and lighting equipment. buffet running up to 180. people, seated dinner up to 120 people. But also nice swinging or a band to perform is possible. A maximum of 220 people can go on board completely out of their roof. Any desired decoration is possible. Tables can be arranged in any desired arrangement, for example for a dinner with 80 people. The IJ van Amsterdam This trip is a relatively short trip. 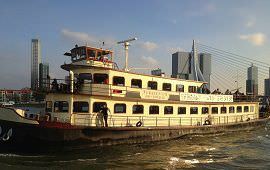 In a time frame of two to three hours we will sail you over the IJ to the IJsselmeer and back. But also the Zaan along the old cocoa factories and the Zaanse Schans are possible. The IJsselmeer is an oasis of peace, ... and yet so close to Amsterdam! From Amsterdam we are in half an hour on the IJsselmeer. Via Durgerdam and the outside IJ we choose the spacious sea. A stop on the former fort island of Pampus (including a guided tour),.... or a fish in Muiden, Hoorn or Volendam is of course possible. Via the IJsselmeer Vecht and the picturesque Muiden we arrive at the Vecht. 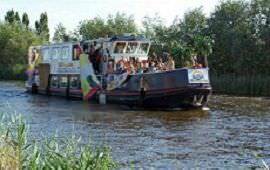 The route is characterized by beautiful nature and the splendor of historic mansions that for centuries has made the river Vecht one of the most beautiful and richest areas of the Netherlands. In short, ... a real experience. De Zaan: industrial history Via the IJ and the Voorzaan we end up on the Zaan. The vibrancy of the past can still be felt and seen on the Zaan. While sailing past old cocoa sheds and warehouses we finally arrive at the Zaanse schans: here one can get off to see the historic mills. Other sailing areas in the Netherlands may also be chosen in consultation. Combining a wedding with a wedding? BOOT can also be used as a wedding boat for this purpose.